I read forty-four books this year, which is not as many as I have read in previous years. 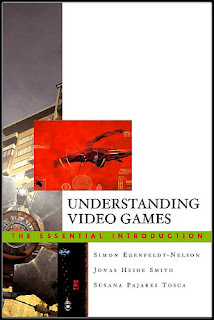 I read a lot of articles and blog posts about video gaming, but only two books about it (an indication of the location of all the hip criticism at the moment, I think, though Dan at Digital Ephemera has an impressive list). I've already told you my thoughts on Extra Lives; this post is about Understanding Video Games: The Essential Introduction. In short, I loved the book. It was easy to read and elucidated all the things I was confused about (including some a hint that Aarseth's taxonomy of interactive games is impractical, why didn't I think of that?). The game history section focused on the evolution of the form, being aware of the limitations of hardware but without getting caught up in a specs discussion. I also loved the chapter on narrative. The overview of video game "risks" seemed a little overly dichotomized (psychologists' research vs anthropologists', essentially), but it gave a good overview of the state of things (most research from psychologists oversimplifies the variable of "video game"). These guys really did their research! If you're overwhelmed by the amount of serious literature on video games, this book will have you covered for a while, though it does not cover current issues like the rise of the indie game and viral marketing things. It also has a disappointing amount of punctuation and sentence errors. Anyway, I liked this book so much that I wrote the only Amazon review for it (some small part of me is sad when good books like this go unnoticed). Hope you've had a great holiday! I love that Steam exists and that I can buy a game and probably own it forever (even if my hard drive gets wiped and my house burns down). However, lately I've noticed that some games I want to play (like Towns) aren't on Steam yet, and sometimes Steam misses out on non-American games (although if they get popular enough they usually get there in time). Here are three other digital distributors of games that keep coming up, which maybe you didn't already know about? - Desura: The indie little sister of Steam. Also focuses on mods and a developer community. 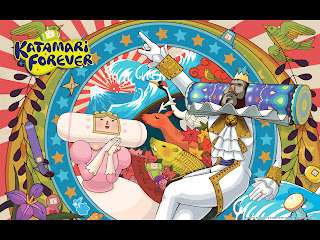 -Playism: Japanese indie games. 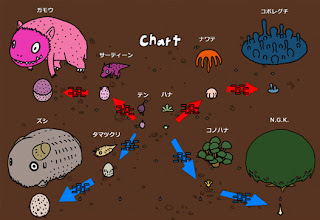 Well, many are not from Japan, but some are, including this little gem (ecological god game with charming art). Also, sometimes American games look cooler on Playism (And Yet it Moves takes on an air of foreign bizarreness). -Good Old Games: They don't have everything, but they probably have one of those Windows '98 games that will never play on your computer again. Plus they are having a 50% off sale (that means Planescape: Torment is $5)! Did a guest post over at Rampant Games on what indie games can do that bigger companies can't afford to do (usually)! Update: IndieCity? Those prices are more my speed. Update 10/30/2015: Desura is becoming unpopular now, and itch.io and the Humble Store are the new hip stores to get DRM-free indie titles. I was poking around for good Christmas games (so far Sufjan Stevens' game is the only one worth mentioning) and I found Sky Island. Quite honestly, it looks like a prototype or clone of Fez (that one game from Indie Game: The Movie that still hasn't come out yet). Basically, you can only move in 2D space, but you can rotate this space. It is kind of mind-blowingly difficult for me. I think the concept of moving your camera and changing the landscape is cool, but so far I haven't been impressed with the game's teaching me how to navigate space. I admit, most of the time if I get frustrated with a game I usually put it down. I like the idea of games gradually getting more difficult and teaching me to get better, though I concede that the whole Dark Souls difficulty discussion makes me wish I cared enough to persist through abusive games (oh, excuse me... games with a "Darwinian learning curve"). I think players need to feel some sort of attachment to a game before it throws something really difficult out there, which probably explains the whole boss-battle cycle. Anyway, some games are hard and I just give up. I've been searching the internet for a list to links of the indie games that were on display at Minecon, but I'm coming up empty-handed. So to make things easier for the world, I'll make my own list (I'll work off the indie theater schedule from the agenda, but I'm not sure if all the games were in it? And not all the games showing at the indie theater had displays, so, confusing). So, here's a buncha blurbs about indie games featured at Minecon. Code Hero: A game that teaches you how to code. I love the idea; the game is still in development. 3D VVVVVV: Still difficult as heck. At A Distance: I didn't get a chance to play it, and I couldn't really figure out what was going on by watching. Lots of abstract shapes and two players having to work together to do... something. No Time to Explain: Kind of a silly, cartoony platformer. I admit, I was kind of put off by the art style. Catapult for Hire: Looked like a pretty straightforward 3D physics puzzler (but maybe everyone was playing tutorial levels?). I think it gets cooler later on with story and adventure elements. 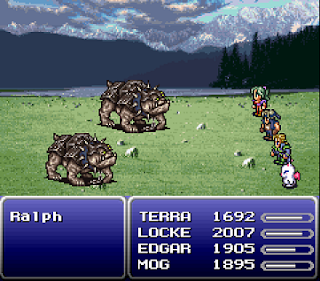 Dragon Fantasy: JRPG in a retro style for iOS, kinda like Cthulu Saves the World. A Valley Without Wind: A metroid-like with procedurally generated levels. Retro/Grade: A rhythm shooter compatible with guitar hero guitars where you can go back in time. Snapshot by RetroAffect: upcoming game about taking photos which looks cute. Octodad: 3rd-person adventure about being a dad? I'm downloading it now. Here Comes Launchman: retro-styled platformer with things you can stick to and throw, maybe? Influence: another one of these zen games where you build up your little sphere to consume all other things. Incredibots: A machine building game. Retro City Rampage: retro-styled action parody game. Frozen Synapse: A tactical game that has been pretty popular and was featured in the last indie bundle. Zombie Grinder: I think the title sums it up. Jesus vs. Dinosaurs: Make cars with tetris pieces, then run them together to see who wins. 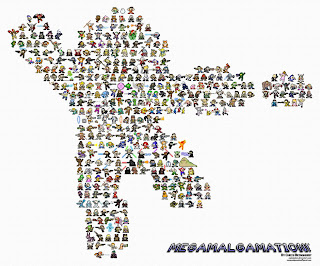 Oh and the playable characters are Darwin and God. I can't tell if I should be offended or not. If you had a game at Minecon, leave a comment and I can add it to the list. Also, if you'd like me to review your game, feel free to e-mail me. Indie game night tonight was at Wahoo's studio. Lee Baker from Sandman Studios gave a presentation. Sandman studios started out as a special effects company (they did the effects in Pushing Daisies), but it looks like now they've branched out into flash mini-games, children's picture books, and maybe animated movies. They do good stuff. He talked a lot about what they do and how they do it. One of the interesting things about a visual effects studio is that they make a lot of bids on jobs, so they really have to know how much it costs to do certain things. To get backers for other projects, they have to prove they can do it and that their investors can get their money back somehow. I think with games you can see effective and ineffective pitches over at Kickstarter (I think the general concepts would apply to non-kickstarter pitches as well). I'd like to help make a game someday so I'm kind of fascinated by how you really have to have a good-looking prototype before you can get any money. There were a couple of games there, including McKay's ongoing Flexitris project (super-customizable tetris), Siphon Spirit (an action game kind of like Osmos), and some other games. The guys who are working on Me and My Zombies were there and it was kind of fun to have already played the game and use the time to give/hear feedback. I'm still trying to figure out how I want to cover indie game nights. I'd like to mention games as I find out about them and then review them when they're fairly complete, and I think Greg does a pretty good job archiving indie game night (which games appear when). 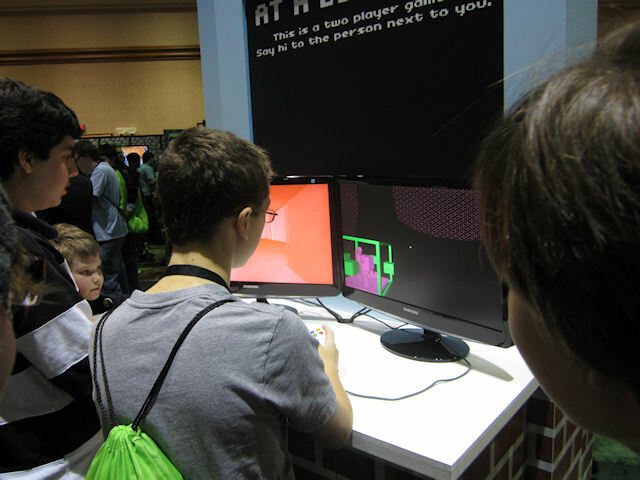 Oh, and I've added photos to the Minecon posts. -Getting C418's CD and autograph and hearing him and some other game composers talk about their work was pretty awesome. C4 takes kind of a coy position to things, but the other guys were very open about their work. Basically, they got started asking around to compose video game music and most people making games need music, so it works out. -Another panel from game artists provided some insights into how their process works. 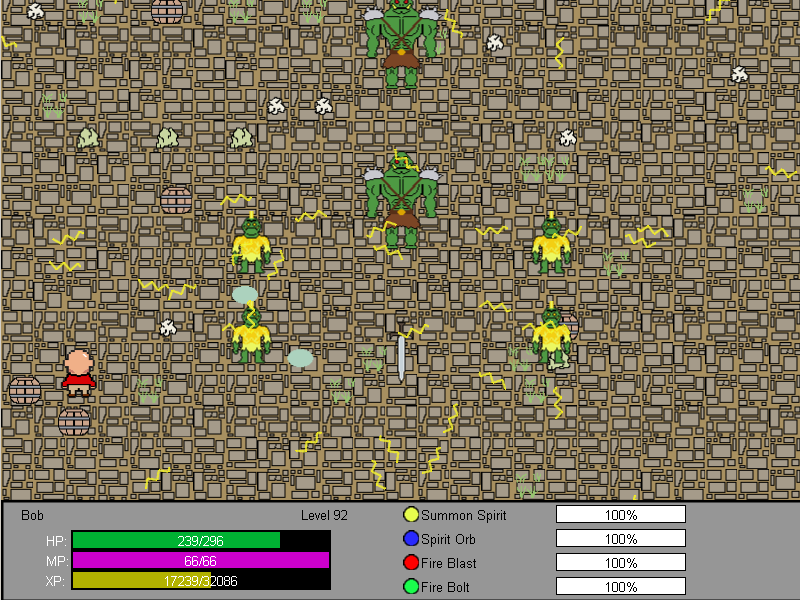 For Scrolls, they cut apart their dudes and move around files in Flash to make running animations quickly. Cool. -Right before the exhibit floor closed for the night the lines for things were actually manageable. I got to play the "dig through square blocks that look like Minecraft to find previous stones" game and buy loot from Jinx (Minecraft magnets! Fridge art!). -I finished getting diamond stickers for my scavenger hunt entry form thing. Some of the diamonds were for doing cool things, but at least two of them were for signing up for a service online (blaah). The longest line after Jinx was probably the Curse booth, which took your photo with green screen and then gave you your diamond sticker. 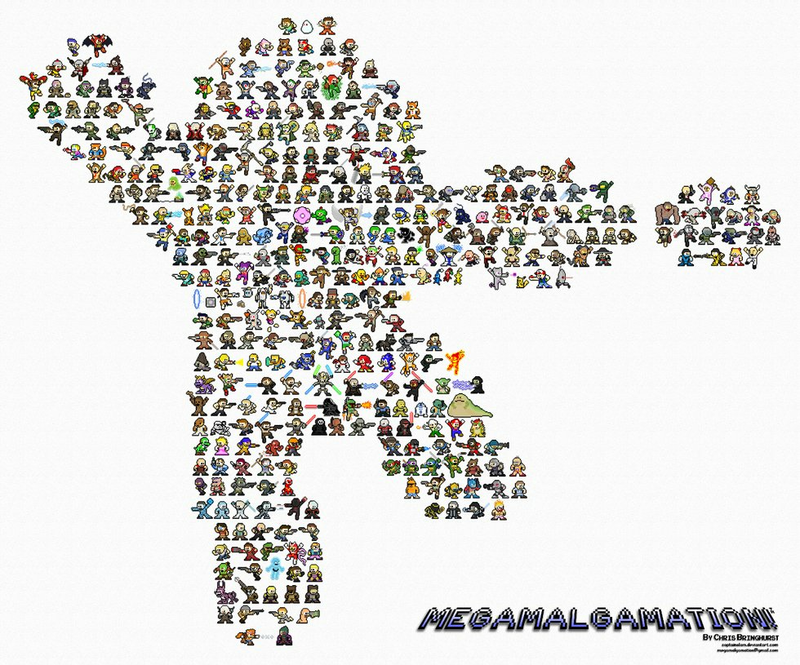 So, somewhere on the Internet is a photo with me, a Minecraft sword, and a creeper. I didn't win anything, but I had the full experience! -I went to a panel where people talked about how Minecraft helped bring their family together. All anecdotal data of course, but interesting nonetheless. I might post about it more later, but Minecraft is nice for strengthening bonds because it lets people problem-solve and create together, in a shared space, and chat at the same time. There was also some comments about how Minecraft's lack of a tutorial forces kids to look things up online and promotes Internet literacy. -I played Cobalt! 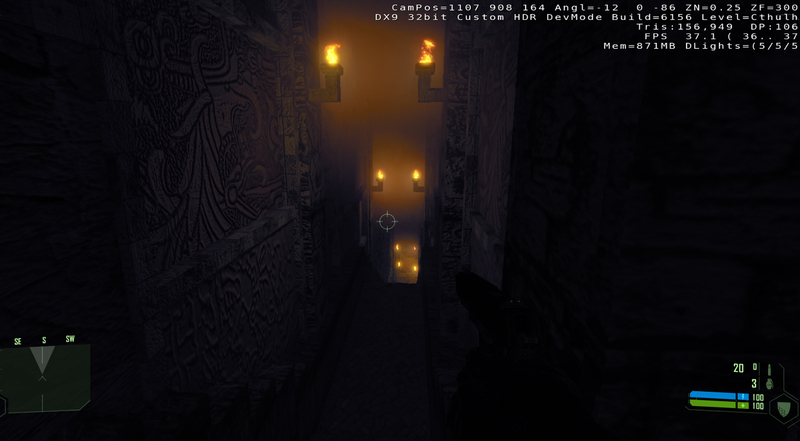 It's a 2D platformer/shooter. It has some interesting mechanics. You can slow down time in a small radius around you and punch back bullets. You roll everywhere and depending on where in the roll you release the bomb or whatever, it goes further. 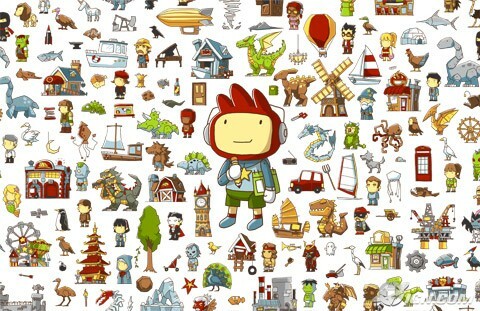 I like the quirky/cute art style. That said... it is really hard. Hopefully in the final version they will have more tutorial things or something. -We decided to walk to the club from our hotel which was maybe a bad idea, but we got to see the strip at night. I wasn't dressed right for the club (apparently strapless miniskirt dresses are the way to go? I think they look terrible), and it was super crowded. I'm glad we went though. I guess I thought clubs were only in movies but it turns out they actually exist. I'm not a super social person in line but I met some people and generally everyone was very nice. I'll put up photos to go along with everything later (there were some awesome decorations, including a nether dragon). I would have liked to hear more from Notch on a panel or something (he didn't participate in any of the developer panels), but it was pretty good to hear from all the other devs. Have a good Thanksgiving, and check out all the cool new stuff in Minecraft 1.0! Me and my husband made it to Las Vegas and registered for Minecon! You know, the convention about Minecraft. All of the restaurants are ridiculously expensive but at least our hotel room is nice. We registered and got our official swag. -creeper drawstring bag. Bright green and kind of iconic. -Razor mousepad that looks like a dirt block with grass on it (I will totes use it). -Minecraft paper crafts sponsored by Thinkgeek--which I think is genius of them as there are plenty of kids here who will like it (and me). -Exclusive in-game cape, but only if you register with XBLA through an xbox, which I don't own (sad face). -Normal convention things like name badge, schedule, ads, etc. There's an official afterparty at a nightclub this Saturday. And it says that the dress code is enforced, but nothing about what that dress code is. I've never been to a night club before, but it sounds like there's dancing and stuff, which could be cool, but my husband was like "it's just a glorified bar." Anyway, I might try it out if I can get in with my cardigan and skinny jeans. 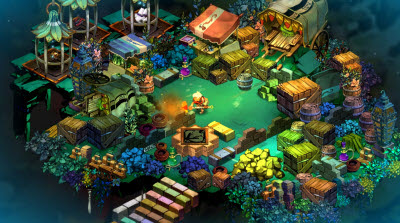 Bastion is one of those little games that you kind of have to play to know what it's about, but I'll try to explain anyway. Gameplay-wise, it's an isometric action-rpg where you can change weapons, etc., and seems pretty normal to me. It's the story that makes this game worth playing. Warning: spoilers for Bastion ahead. The cool thing about Bastion is that your narrator reacts to what you do--it really feels like he's watching. And he's... kind of unreliable. Not the first time there's been an unreliable narrator in video games, but I think it makes for a more exciting story. In addition, there's a gradually unfolding post-apocalyptic story where you find out the Calamity (apocalypse catalyst) was intended as a genocide of the Uras, a tribe of people your people didn't like, and that your narrator, Rucks, helped cause the Calamity. You as the player must make two moral decisions at the end: the first is whether or not you save the Uran who betrayed you, the second is whether to restore the world to how it was (before the Calamity, where your life was kinda crappy), or do you try to make a better civilization with the friends you have? I'm a gullible person and I was taken into narrator Rucks's story. I wanted to help him undo his mistake, when undoing the Calamity probably just took everyone back to their pre-Calamity states of generational hate. I thought about what my character would do when confronted with his betrayer and I thought that he wouldn't save him, especially if he has to leave behind his weapon in order to carry his body. I ended up abetting genocide without trying to be the "bad guy." Granted, at first, the game doesn't let you choose whether or not to kill the Urans--they will keep attacking you no matter what. Over at Line Hollis's blog, she's been discussing if it's possible for a video game to be a tragedy--for you to choose the wrong ending without trying to be a "bad guy." And I think Bastion does a pretty good job. I feel like a complete jerk for undoing the Calamity. And even if you do choose to save betrayer-dude and stay where you are, you're still in a post-apocalyptic land where it looks like you're going to have a hard life. But at least you'll be atoning somewhat for the hatred of your people. 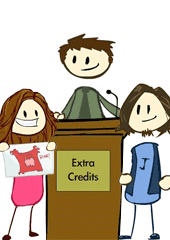 There's a game commentary cast/video thing called Extra Credits that some of my friends like. I watched a few episodes, and while I completely agree with most of the ideas, for some reason it annoys me. It's not aimed at people who are already caught up in video game philosophy, but for people who might not read the Brainy Gamer. If you've read a few books on gaming or have read any of the "brainy gaming" blogs, it's a given that we're tired of games that re-hash the same old ground only with prettier graphics than before (you know the type--you're usually a white male saving some helpless thing with a big sword or something). I take it for granted that the people I discuss games with agree on a few things, like that women are often oversexed in games and it would be good to have more diversity in race, age, personality and gender in games, and that well-developed characters are superior to ones that are completely predictable and caricatured. We all know that games could use better writing and that it's an emerging art form, many facebook games are practically unethical in their hacking of human reward psychology, etc. It's hard for me to believe that anyone would disagree with these notions or even not think about them. Still, the existence of a show like Extra Credits shows me that there is a large audience of gamers who doesn't automatically think of these issues and probably doesn't have a background in literary criticism, and don't mind being lectured about why diversity and character development in games is important (I prefer a discussion format). I'm glad that there is a sort of middleground for them, appropriately pitched through Penny Arcade. I think that with the proper education, most gamers will agree that there is a great potential for games to be more awesome in the ways Extra Credits describes. One of the things I value in a game is cuteness. Looking lifelike is great, but I want a game with its own style and I prefer that style to have some cute things in it. Sure, you might feel like a 5-year-old playing this game, thanks to a cheesy narrator, but the fabric textures and whimsical creatures put this in my top five cutest games. Even the sound effects are cute. Not only is your character basically a knit stuffed animal, but you can make him have expressions and dress him (or her, I guess?) up in more cute clothes. Personally I think there should be more games where you can dress up and then do awesome platforming, or shooting or whatever. A boy with a magic notebook conjures up anything he can write down. The cartoony style is consistent throughout the game, and even scary things like witches, dragons, and the devil take on an aura of cuteness. It makes sense that they'd be somewhat helpless, given that you can throw away things you make at any time. 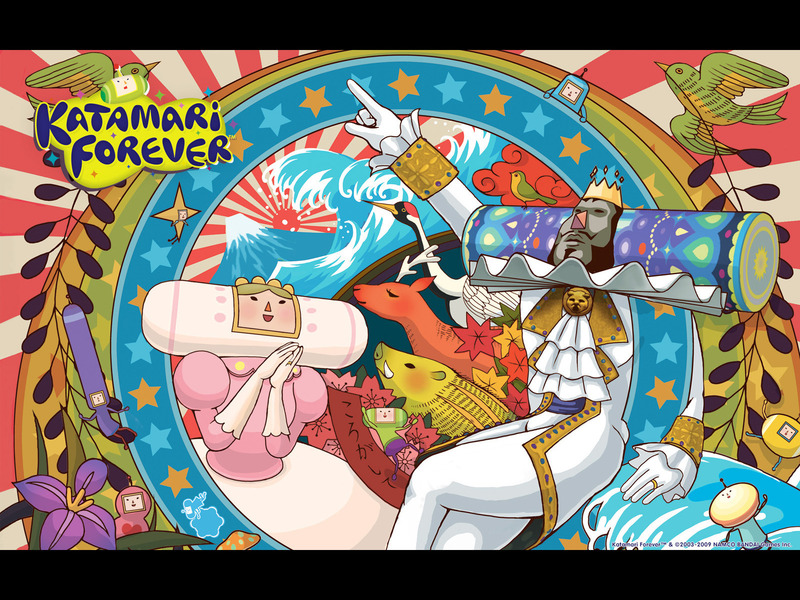 You know this game... go around rolling small things up into your Katamari (or "clump") so you can roll up even bigger things, even the moon, even the universe! Part of the charm is that every object has a name, and your prince avatar has a bunch of cousins you can trade places with. This rhythm game is adorable. I picked up the DS version in Japan and my only regret is not also buying the Wii version (which has multiplayer and mini-games). How did they make a taiko drum so cute? 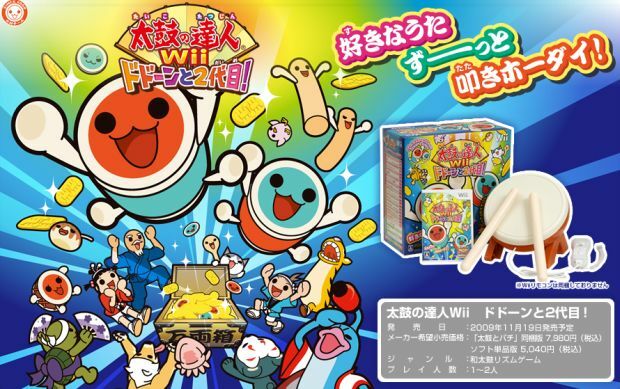 The Japanese voice clips sound like a little drum just dying to play, but somehow it just sounds cheesy in English. I don't think Animal Crossing and Nintendogs are all that cute. Certain Pokemon are very cute, but inevitably grow into something ugly (Scraggy, for example, is immensly cute, and the grows into some punk with a mohawk). Other cute games I considered (thanks, Casual Girl Gamer): Costume Quest, Glitch, GameDevStory, all the Grow games, LevelUp, Little Wheel, Home Sheep Home, and Sissy's Magical Ponycorn Adventure, and World of Goo. Mechinarium is definitely artistic, and I think it has some cute points too. I hear that 3d Dot Game Heroes, Cut the Rope, and Obaku are pretty cute, but I haven't played them yet. What game do you think is the cutest? I've mentioned that I'm completely addicted to Glitch, the new non-violent MMORPG. Let me make a list of web sites and spreadsheets that will help you optimize your game play. Glitch Strategy Blog: they have the location list for the ghost-hunting quest, a rundown of real estate, etc. Glitch Strategy group: Glitch group for discussing strategy. Glitch Wiki: Lists of stuff and what it does. Greasemonkey Scripts: Let you queue skills, see what places you haven't visited, and what achievements you haven't gotten yet. All of these scripts use pages in the Glitch Encyclopedia and your data to show what's going on. There's also an auction sniper, and a site that tells you how to learn skills most time-efficiently (warning: might not be most fun-efficient). The Glitch Resource Database: Where stuff is, like wood trees. Glitchpedia: Compare what food you want to make with what you have. Alchemizer: Compare what powders you want to make with what you have. The Glitch Market: Market stats. Glitchian Commodity Exchange: More market stats than Glitch Market. Includes under- and over-selling. Zog's Glitchy Tools: Lets you see live auctions and which ones would be profitable to buy and sell back to a vendor. Also has location directory and am-I-wasting-space-in-my-inventory. Agent 86's tools: Skillifier lets you see what order to learn skills most efficiently; Favorsaver does your donation maths. Startling Fecundity: Lets you look at your entire inventory all at once, and make auctions from your ipad. Location List: List of locations that count toward travel achievements. This picture of Ajaya Bliss shows the names of the rock places everyone references. I think Neva Neva is just as good and not as crowded. There are a few Google docs out there made by dedicated users. I have faith in the Glitch community (and I've saved my own copies) that if a doc is editable you would edit it with only correct information. So, there you have it! Hopefully you are not AFK yet. Let me know if there are any resources I've missed. GEEX is a gaming and electronics expo in Salt Lake aimed at gamers and their fans, and a few people who like to make games (stemming from Utah's demo party, Pilgrimage). I went last year, but this was the first time I had been to a convention with an official press pass (it is basically an excuse for me to be friendly). I got to play a little of Twisted Metal, a circus-dystopian themed car shooter coming out next year. It's not my kind of game, but it allows your car or helicopter to affect the environment, which is difficult to program and cool. There's also an ambulance car where you can release your old man in a gurney to be some sort of bomb, which struck me as extremely not cool (why not just make him a dummy and not perpetuate video game ageism?). Infinity Blade, originally on the iPhone, is awesome on the big arcade-quality touch screen. It's refreshing to play a game that was obviously tailored to touch-screen capabilities. In this case, your finger slashes are sword slashes and you can parry, dodge, defend, and counter. It started out easy enough for me to quit before I lost, but the story has generations of the vengeful bloodline coming back with the game getting harder each time. They're using the unreal engine, and the characters are lifelike. I found myself feeling a little intimidated by my enemies' little challenge animations. ChAIR talked about how they developed Infinity Blade; basically, they wanted an original game tailored to the iphone's playing experience. They make battles be intervals of two minutes, figuring that many people are on the toilet and after two minutes their legs will go numb. Just from their presentation, I think ChAIR is doing design right--they're thinking about their platform and user experience right from the start (or if they didn't, I think that's how good games should be made). They're not overextending themselves and concentrating on making good-quality stuff. Now, enjoy a few photos of cosplayers (awesome Star Wars costumes courtesy of various companies) while I talk about one other presentation. this guy is from Star Wars, some relation to Boba Fett? Roger Altizer's presentation was also excellent (former games journalist turned U of U professor and game designer). He went over the basics of game design, which I've been studying, and it was fun to hear how he had to apply game design principles to a game for children with cancer. Physical therapists wanted the children to make certain movements, psychologists wanted it to help them keep a fighting spirit, and doctors wanted it to not be the wii, whose radio waves can interfere with hospital equipment. Sounds like a sonnet of a game structure to me! another Madelorian? Or is the costume not indicative of that? I watched some of the Starcraft 2 finals and they were awesome. RGNPerfect (Protoss) and ePValkyrie (Terran), both top 25 (or 100?) players, went head-to-head in the last round. Perfect won one game with 4-gate and awesome forcefield micro. In the final round, he built an expansion before a zealot or cycore, right in front of the enemy scout! The shoutcaster was like "what?" Perfect scouted really late, and somehow knew that banshees were coming and built an observer. More awesome micro through his vulnerable period, and then he won! It was great to have a Protoss win a tournament (and wow, I don't know how sports journalists do it, it was more awesome than it sounds). If I can find replays somewhere I will post a link. There was also a game-a-day competition, where programmers make a game in one day, themed around 8-bit, disease, and gems. My husband participated, and helped Bryan of smote.com make a top-down shooter (I think you can tell where their engine came from). The winning game was a two-player game where you try to pipette cells to make them your color. It's fun to see what people can make in one day, and many of the participants were familiar faces from indie game night. Chewbacca, I am pretty sure. 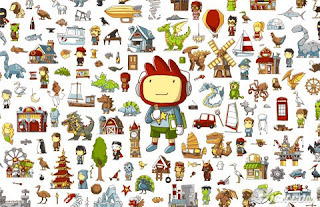 I think this design would be great on a phone cover or something, but I'd prefer just few big cute pixel guys for my wall. Turns out the artist is local! Duke, what a lovely... creature you have there. 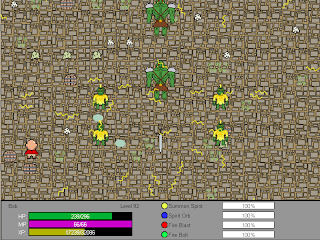 Glitch is an MMORPG with all the fun things like cooking and crafting and without combat. It's an environment to figure out and play around in, milk butterflies and petting trees along the way, all from within your browser. The art style is cute and funny, paper trees talk in haikus, and every once in a while giant crows called rooks attack, and little glitches fight back with the power of their imaginations and donations to the giants (gods). You can play music for other players, as well as hug and splank them (it's what it sounds like). To learn skills, your familiar and pet rock reads them for you. Even when you're logged out, the timer to learn skills keeps ticking. Instead of being tied to level, your skills are limited by how long you've been playing and adding skills. Level affects other things, like... hit points? You get money and favor with the giants for leveling, so it's a good thing. It sounds really weird, but trust me, it's fun! It is, however, highly addicting for the procrastination-prone like me. I have one more invite, so let me know if you want to join! -Cardwood is a short experimental game Vazor made in two days. I played through it, and I'm not sure if I understand everything that's going on, but I like it. I like clicking on the buttons while I'm reading and trying to figure it out. -Link REALMS is an isometric MMORPG in open beta, also a game that has been a long time coming. 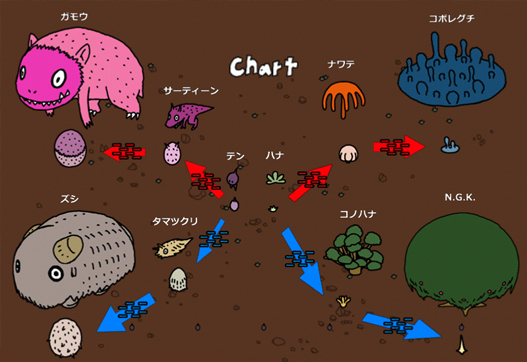 I believe I saw it last October and I can tell you that the enemy AI system is really cool and ridiculously complex. It has an Oblivion-like leveling system, so you choose your specialties based on what you do, not some arbitrary race or class. I like that kind of system but it does have the drawback of being somewhat grindy (okay, this spell has to fail how many times before I get to level 5?). I haven't been able to fully explore the world yet, but it looks like there are cooking and animal husbandry systems along with magic and mauling and clairvoyance (!). Take a look at their wiki to see if they implement your favorite skills. The click and drag system of inventory leaves me feeling a bit disorganized, but it works. They're still working out a few bugs, but it's highly playable as long as you can figure out the double-clicking and targeting stuff. There you go! Two browser-based games for playing on your work break and two bigger games for multiple-hours-investment-fun, made right here in Utah. Here's some information about the games in progress at the Utah Indie game night. Obviously, I haven't been able to play through each game, and most of my blurbs focus on the superficial. That's kind of how demos go. I'll have another post for the completed games (the ones I can play from the leisure of my home). 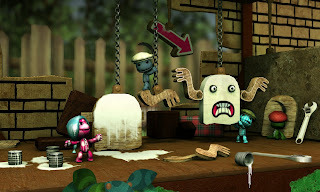 -Faerie Alchemy (play video; company) is falling-block puzzle game. Three or more adjacent suns turn into a leaf, leaves turn into blue pyramids, with new elements gradually adding themselves (the chain effect reminded me a little of Primrose). Ben had added some shiny effects that aren't in the video, and it looks very pretty. The game is pretty playable in both casual "this feels right" and intense "I'm thinking about every block" ways of playing. Ben's hoping to release it on iPad and then everything else. -Multifarious is a game for mobile devices that is a tricky multitasking game. After balancing a ball on a seasaw through the magic of accelerometry, the game adds more and more tasks (touching the screen to jump at the right time, etc.) until you mess one up. Kind of like a cooking game, in that you have to keep track of multiple things at once, only a lot harder. I'm pretty sure this is their blog. -Bullet Train Hill is a delightful little puzzle-platformer where you're jumping around on top of a bullet train, so the wind affects your jumps. I liked the levels I played, and I'd like to play more. Chris hopes to make use of the concepts in another game. There were a few games I didn't get much information about. Smote is an old school action-RPG, from the looks of it, and has online multiplayer. I'm very curious about how that is or will be going. There was also a UVU flight simulator, which has local Utah geography, which I think has the potential to be uniquely Utah. About every other month, the Utah Indie Game group meets in person. My husband wants to work on a game to bring at some point, but for now we just looked at the games people are working on. Tracy Hickman of Dragonlance fame came and did a presentation on plot structure (some of it seemed straight from this Dramatica theory). We came a little late; Greg describes his lecture in a little more detail. It was interesting, but his complaints about games not doing anything new with narrative in the past 20 years did not seem accurate. Specifically, he said that games lack "impact characters" that players have an emotional connection (and story) with. I think ICO has a pretty clear impact character that you have to drag along and that many players felt emotional attachment to. From the little I've played of Dragon Age: Origins, it seemed like my party members were constantly feeding me their opinions of the choices I made. I agree that games could use some work on narrative, but I disagree with Hickman's complaint. In avoiding a megapost, I'll post about individual games in the next post. Repetitive elements in games (e.g., grinding) make players feel like they've "earned" their triumphs. Making a game take a long time to beat seems like a cheap way to make players attached to their progress in a game. A better way to make players attached to their progress might be to a) make gameplay really difficult, b) create engaging characters, or c) have players come up with their own story. Making gameplay difficult doesn't have to make a game frustrating; I think Portal's puzzles are sufficiently difficult to make players feel smart and that they're really learning something (they're learning to think of physics in a different way). I'm sure there's a way to effectively teach more complex tasks through games, and I think learning is a ritual worthy of repetition and the challenge is enough to make it interesting. Adam and I have long discussed a kanji-learning game where instead of pushing A, you're reviewing kanji through flashcards. You can still get the boring/comforting thing, but maybe with a bit more brain involvement (also, if you want to help make this game, I only know so much about computer art). Creating characters that you care about can only go so far. It's usually only part of the picture that makes a game addictive, and loving or hating characters seems to effect some players more than others. And if there's a character everyone likes, it only makes ending the game more painful (but impassioned fans make for good discussions?). The last option, having players come up with their own story, is the emergent gameplay that characterizes Rohrer's art games (you're imagining the story based on what you're doing; no one is telling you in words what just happened). It feels different from playing a game where the story is in your face. It feels like you're doing the story instead of it happening to you. I agree that emergent narrative is one way to use video games to tell a story that no other medium can replicate. The types of games with emergent narratives are fun to explore and figure out their rules. But sometimes all I want is an interactive story that someone else made up. I would, however, like to see a Dwarf Fortress that is a little more user-friendly. I've been thinking about video games and their growth from other interactive mediums. Perhaps spurred by Alternative Ending's apology for RPGs and desire for more emergent narrative, although I'm not yet sure how much this discussion will have to do with her discussion. -Oaths. 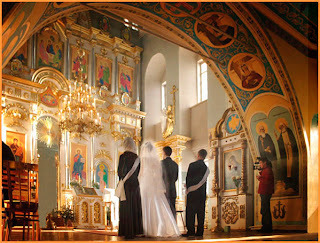 The marriage oath, swearing into court, and the presidential inauguration all require the participant to accept or reject the situation, with different consequences either way. 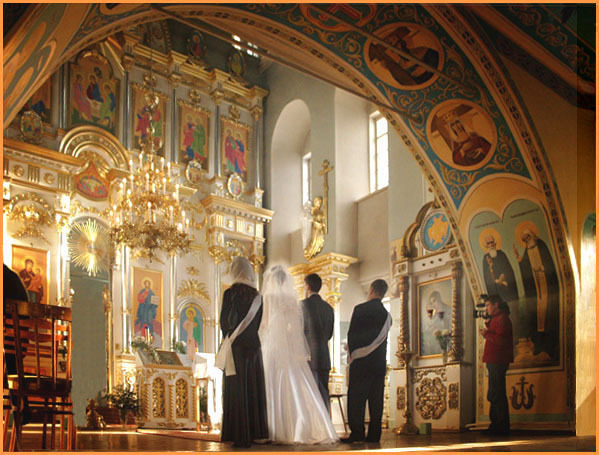 I really just wanted an excuse to put in a picture of a Russian orthodox church. -Call-and-Response. Common in camp songs and some Christian-type sermons. The leader says one part, and the audience answers theirs or repeat what has just been said. -Call-and-Action. Traditional storytelling that has the audience do actions in certain parts would fall here, as well as children's finger plays. Singing with actions, like jump-rope rhymes and clapping songs might also go here. If you say/do the wrong thing everyone else will probably keep going or stop. -Daily living. Includes greetings, exchange of goods, pouring a drink for someone else, etc. -Other. Everything I haven't though of yet. -Counting off. Including counting your money, plucking daisy petals, etc. to come to a conclusion. -Bodily rituals. Going to the toilet, eating, etc. -Daily living. Washing hands, Sometimes combined with social rituals for extra effect. Includes quirky things like you always put your keys in your right-hand pocket, read before bed, etc. -This is getting ridiculous and I need to stop thinking about it. We can think of video games as rituals. In Portal for instance (forgive my constant references to this game, but I'm writing my thesis on it so it's on my mind and readily available, mentally), the structure is that of call-and-action. GLaDOS says the same things every time you play the game. If you do something other than the scripted event of an action that leads to beating the game, you just can't continue. There is no way to complete the game and not fight with GLaDOS (well, short of modding the game I suppose). But an essential difference is that the first time you play a game, you don't know what's going to happen, so it doesn't feel like a ritual. It's only on replaying a game that you feel that it is a ritual and become comfortable with it. Most games with a linear flow follow this feel. Games with multiple endings are still a sort of ritual, or at least a set of different rituals which you have to figure out. 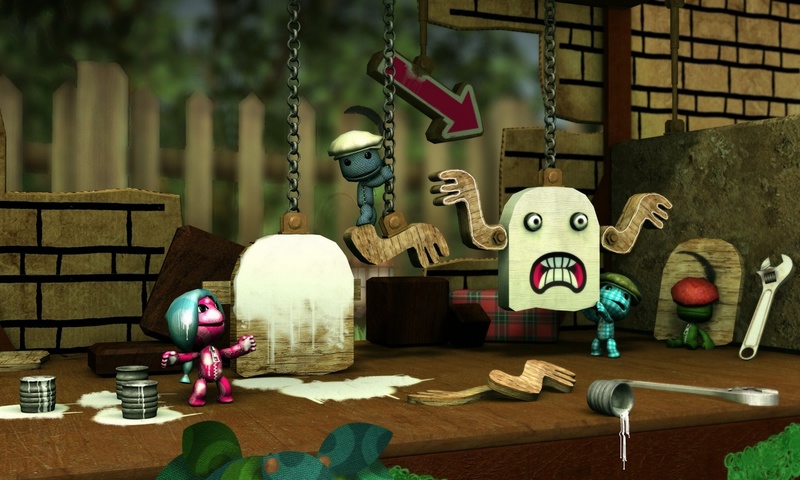 Creating a level in Little Big Planet seems like it's not a ritual, unless you're creating the same level over and over again. Open-world games have breaks from the structure of ritual, but still within the rules and confines of the game. I also wonder how ritual works in games with procedurally-generated content or in sandbox games. Certainly exploring the dungeon levels in Persona 3 time after time seems like a ritual, even if the floor pattern is a little different each time. When playing Minecraft with zombies the first day seems to play out the same: make shelter for the night by digging materials. And I don't think ritual is a bad thing; I think it's important to acknowledge that part of the experience of playing a video game is rooted in very old experiences. Gameplay elements which become ritualistic in one playthrough of a game (like grinding in RPGs or digging in Minecraft) hold a special quality which both bore and comfort us. I hope to follow this post up with some more awesome, but this might be as far as the idea goes. Ah, grinding. Oh, I forgot to mention FF6. Here is this screenshot I stole off the internet anyway. Edit: Because I'm a budding archivist, I'd like to link over to Digital Ephemera's further discussion of this post and interactive ritual in games. I like fan art, especially unusual fan art. I took a bookbinding class last fall, and I made a Minecraft cookbook for my little brother to go along with a copy of Minecraft for last year's Christmas (it turns out my older brother was more interested, oh well). I used a coptic binding, which is the older type of binding we learned. I dyed the paper for the cover with a lemon teabag (rooibos is also great for dying, and it gives a redder color). For the inside paper I used a map harvested from BYU's map discards. I should have spent a little more time reviewing my calligraphy skills for the title page. Oh well. I ended up rushing to put in the recipies, so I did them in plain ballpoint pen with tic-tac-to type grids.